The launch of the $199.99 X3 Mark III from FiiO in the last quarter of 2017 continues the Infinity Sound theme of products initially revealed to the public that summer. Alongside the X7 Mark II, FiiO F5 and F9, FiiO made a big push for increased performance using their tried and tested value for money message that has served them well down through the years. It also marked a new stage in their own in-house R&D capability with the expansion of their proprietary Linux OS where once HiBy Music reigned supreme. Previously the OS was used in a gingerly fashion with the X1 2nd Gen. Mixed results ensued. The X3 was their initial DAP. This was the media player that initially gave them so many problems but turned out pretty decent back in 2013. The X3 Gen 2 was actually quite well received at the time with plenty of new and interesting features. Roll on 2017 and to some extent, the X3iii is their most advanced non-touch DAP launch yet with some great features. However, it could also be their most puzzling to date given the foundation of everything good on the X3iii is built on a fairly dated processor. When I spoke to James, one of the Co-owners of FiiO on our visit to their HQ in Nov 2017 he made special mention of the X3 DAP legacy, calling it one of their key “growth” products. Fun fact for those who still have the X3 but the primary hardware interface on the front panel was in fact modeled after the Sony PCM-D100 pro recorder interface. I love that big brick of a recorder as a DAP in its own right also. The recent split from HiBy meant that FiiO had to basically come up with their own replacement software for the X3 series DAPs without breaking that previously known pitch of power, battery life, and portability. Yet it also had to remain competitive for their usual 12-18 month product life-cycle which has been a feature of their media player roadmap over the last few years. 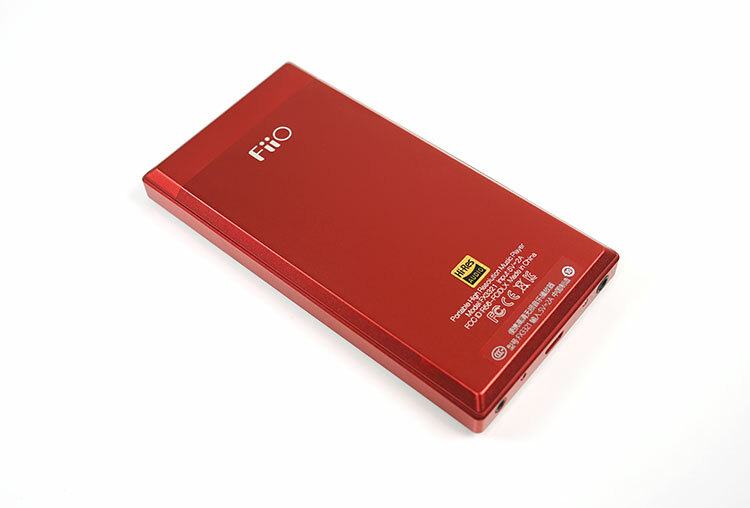 Hence in the last two years, FiiO has been increasing the size of their RnD department substantially. 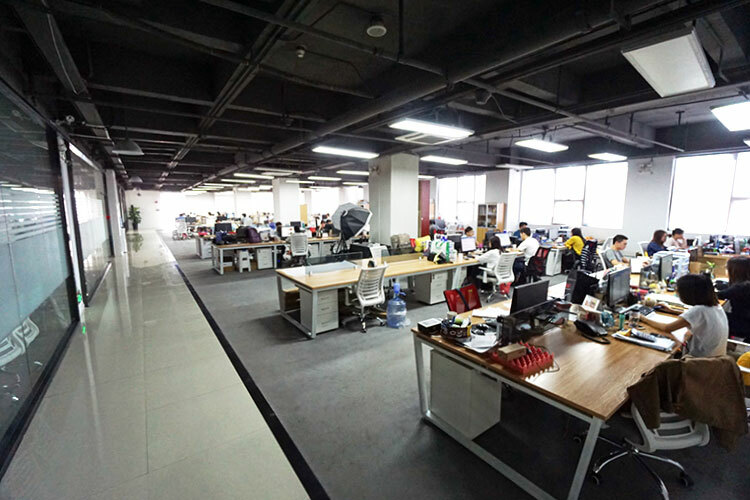 You only have to walk into their huge open plan office to see the fruits of that long-term vision. 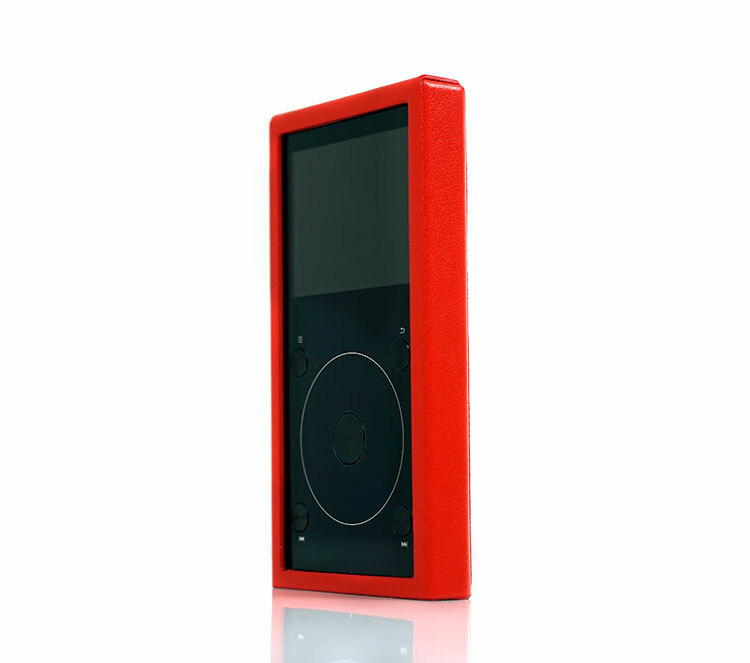 If there is a pitch out of that is that FiiO controls their own destiny when it comes to their DAPs. The X3 3rd gen is the first X3 developed completely in-house and manufactured 500m away in their purpose built factory. Both the DAP hardware and now the software is made in Baiyun, Guangzhou. The X3 3rd Gen is part of that Infinity sound pitch of summer 2017. Alongside the F5 and the Q1 Mark II everything was about enhanced portability and the inclusion of a balanced output or cable capability. The X3iii is no different in that respect with a balanced output to match up with the F5, F9 or F9 Pro. FiiO is pitching the balanced output as enhancing the X3iii’s staging and detail performance over the unbalanced output. The 3rd Gen X3 also marks the first time they have gone dual DAC at this price point with a pair of TI PCM5242 DAC chips, one per channel. This is combined with no less than 3 separate PCB boards for the DAC, amp and Bluetooth module in an effort to reduce any potential interference with the quality of the output. This is also the first X3 generation with a built-in Bluetooth 4.1 capable module. Previous players were a bit cut off from the universe and had no connectivity. Today’s modern DAPs, even at the budget level now have some form of connectivity and this keeps FiiO up to speed in that respect. Whilst it still has some core features like the scroll wheel system the X3iii is being pitched by FiiO as a lighter, thinner and much better handling DAP than the previous generations. Design-wise the Mark III is a huge step up from the older shape of the X3ii. It looks far more modern and slimline than the two previous X3 generations. 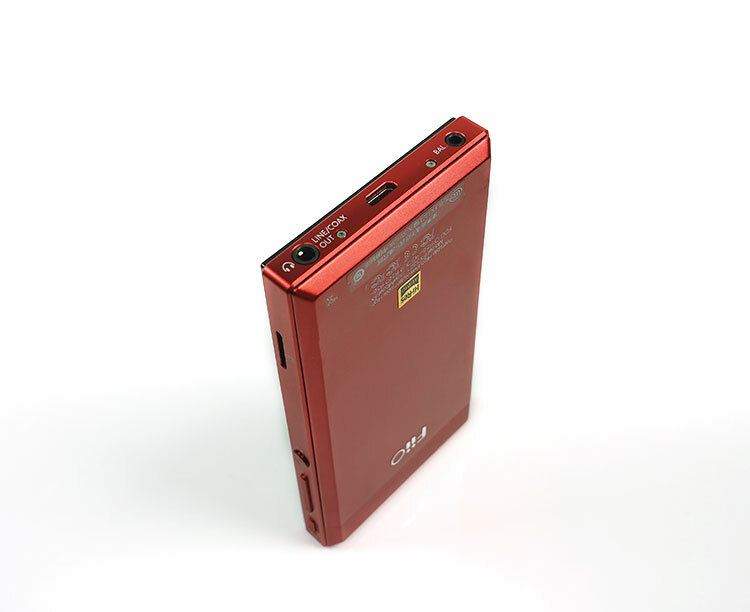 For those that have seen, used or own a second-generation X1, the X3 Mark III form factor is very familiar. In fact, face down you could argue that the Mark III is a blown-up X1 Mark II. It is of course much bigger, about one third bigger than the X1. In fact, its size took me quite by surprise when I took it out of the box for the first time. It is almost the same height as the X5iii only much slimmer, as slim as the X1 Mark II for that matter. It does have a slightly straight-ended feel to its corning compared to the more rounded X1ii. The X1ii has quite a curved side panel finish. However, the cornering of the X3iii is not that sharp anyhow so it is not much of an issue. The front panel looks exactly like the X1ii only bigger. The screen is bigger, the touch wheel is bigger. However, the X3iii front panel sits behind a tempered glass finish with the aluminum frame just behind it and the screen. The X1ii frame uses the FiiO Arc design and comes right up to the top panel so it doesn’t look as seamless as the X3iii form factor from the top down. Also, the button array seems better-built on the front panel of the X3iii than the X1. They are a little steadier and more flush to the panel. The X1 buttons stick out a bit more. FiiO has called this design a “sandwich” design with 3 components, the glass panel behind the tempered screen, the main aluminum frame and the hybrid back panel. The back panel itself is made of two parts. The aluminum component which covers about 80% and the final 20% is a plastic component finished blending in with the back panel. 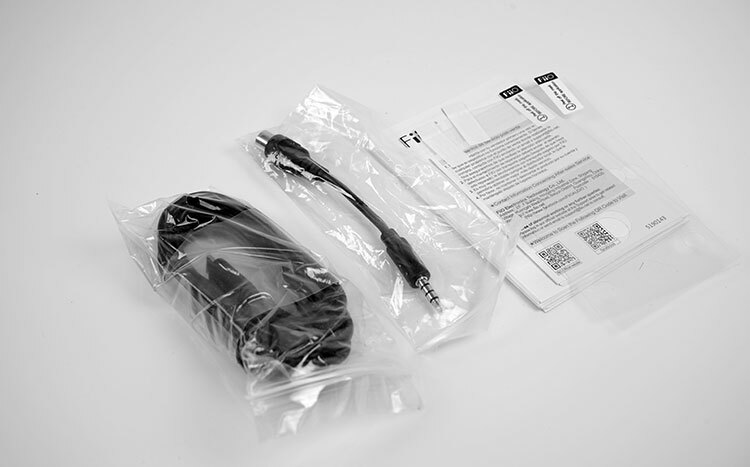 This plastic component is for the BT signal. Solid aluminum can attenuate the strength of a wireless signal so plastic is used to increase its range. You can get the X3iii in two colors, black and red. The top panel is always black in both choices so the red is really the back panel and aluminum frame only. The black version has a front and back that is black but the aluminum frame is actually a grey finish. Red has always been a color of luck for a lot of Asian communities and it looks very stylish to me personally but I have a feeling the western market will go more with the black. The X3iii uses a 2.3″ 320x240px TFT screen on the front panel. It is a non-touch screen with navigation and control through the physical buttons and touch-scroll wheel below it. The type and resolution of the screen are the same as the last gen X3, however, it is slightly bigger than the 2.0″ version used on the 2nd gen unit. It is a well-lit screen with bright clean colors, decent viewing angle also and in contrast to the X1ii it has better lighting and more complex theme coloring. The depth from the LCD to the tempered glass is not that deep which helps in terms of legibility and viewing angles. The level of pixelation from the new OS on the X3iii screen is similar to the X1ii’s performance with slightly inferior anti-aliasing to the 2nd gen HiBy system and glass. I have seen this on a few Linux powers software systems before and is usually related more to the font choice which has stayed the same for both DAPs. Like the previous generation X3 the new X3iii does not have any onboard memory. Instead, you have a single micro SD slot to the left side panel for cards up to 256Gb official. This places on an even keel with similar price players such as the Shanling M2s which also does not use onboard and just a single micro SD slot. The Colorfly C10 has onboard 32g but the SRP is $100 higher at the time of writing. It also has only one microSD slot. For reference purposes, the M3s from Shanling does not have onboard memory either but both Shanling DAPs have bi-directional BT and OTG services. What happened to the previous generation OTG support for this X3 generation? Sadly, I tested a few flash sticks and OTG cables but nothing came up. This one seems to have been silently dropped in favor of some different features. I cannot find any technical or marketing data that will suggest OTG will return which means the X3iii is limited to whatever you put in the memory slot. The X3iii uses a 2350 mAh Li-polymer battery which is slightly smaller than the 2600mAh battery inside the 2nd gen X3. The X3iii will give you around 10 hours compared to the rated on a paper spec of 11 hours on the older version. That is actually not bad considering the additional features on the X3iii. However, once you start using those additional features extensively you will find it will drop a bit more to under 10 hours. Screen brightness, the screen on, Bluetooth on and balanced output will reduce the life cycle by 1-2 hours. It was pretty much the same scenario on previous generations so I would not consider it a negative, particularly when you are running a dual DAC and a triple PCB board design underneath. The X3iii has retained the deep sleep functionality of the previous gen which is a very useful feature. Deep sleep on the X3iii will give you up to 19 days of instant-on capability in standby mode which is pretty darn good. Now that’s 15 days of not touching it so using the standby mode off and on during some playback sessions will shorten that spec in real-world usage but it should give you a few days at least from my experience using the X3 Gen 2 feature. Charging is a little faster at 3 hours vis USB compared to the 3.5 to 4-hour cycle of the older gen 2 X3. This is where FiiO has pushed the boat out for a sub $200 DAP. All the inputs and output are housed on the bottom panel as is the case with the X1 2nd gen. The top panel is flush metal only. You retain the3.5mm digital and line out of the older 2nd Gen DAP but you also get an additional balanced 2.5mm TRSS on the opposite side. Previously the line and digital outputs were houses in a dual purpose single 3.5mm output. Switching was done through the OS controls in settings. On the X3iii you now have a 3.5mm jack with tri-functional capability. It now includes 3.5mm unbalanced for headphones and IEMs plus lineout and coaxial. You can still control the mode of output via the settings menu and a small icon will tell you which mode is currently selected in the top bar on the screen. FiiO is sticking with micro-USB for the X3iii USB socket. I see no harm in that, quite a lot of my devices still use the format and there is no sign of it being phased out currently. I do hope the next gen will switch to USB-C which is a format I am fast preferring for ease of use alone. The USB port will dual for data transfer and charging as well as mount your inserted micro-SD card on a PC or Mac. It can also be used to activate the USB DAC function for Windows platforms in sync with FiiO’s USB drivers. Since it non-touch based there is a strong emphasis on physical buttons. The new touch scroll wheel seen first on the X1 2nd Gen is again deployed in the X3iii but this time it is bigger and to my mind slightly more accurate and with a quicker response. On the X1iii I got about a 1cm thumb movement either side before the menu moved from icon to icon on the home screen. On the X3iii I am getting maybe 25% less distance making it the more accurate of the two. One nice little feature of the new touch scroll wheel not found on the X1 2nd gen is the software control of the level of sensitivity in the setting menu. It has 3 settings, low, medium, and high. I recommend low, it makes everything much faster than the X1’s version. On the outside to the four corners, you have the multi-function buttons for playback, navigation and menu call-up. They are slightly better in terms of finish to the X1 2nd gen. They are also housed a little closer to the tempered glass panel and do not look quite as raised as before. On the left panel below the volume rocker, you also have a new multi-function button. There are a number of commands associated with this button. During playback, it will play and pause as well as fast forward if pressed down for a longer period. A double click seems to also move it forward to the next song also. Further button mashing will allow you to change themes as well as bring up info on the song being played and your playlists. 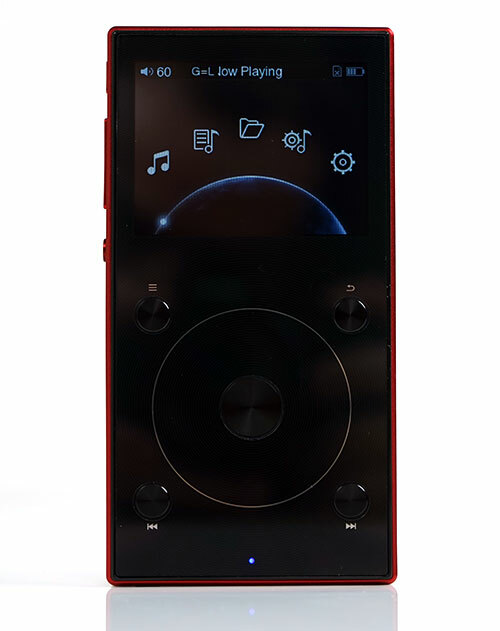 Above the multi-function button, there is a simple slimline volume rocker and FiiO new power button which is more rectangular than circular and duals as power on and off as well as controls whether to turn the LCD screen on and off. Note it does not have variable color schemes for battery life. You will find the batter life indicator in a small LED diode at the bottom of the front panel. 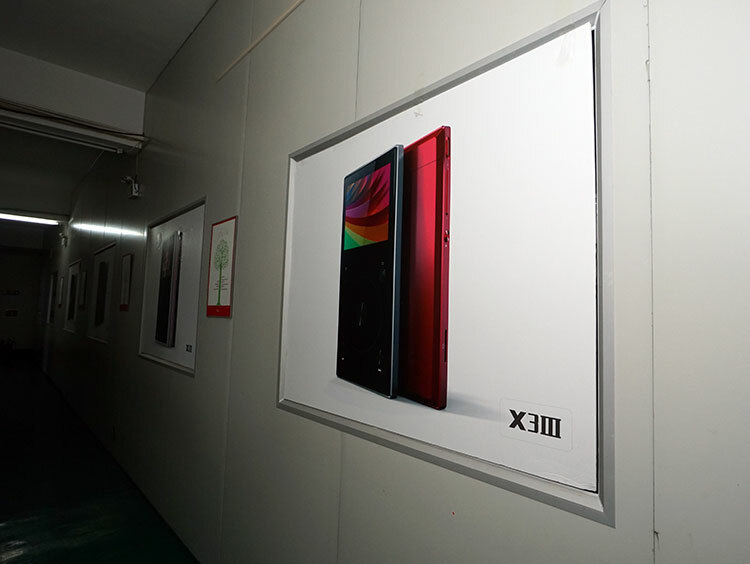 The X3iii packaging is similar to the of the X1 Mark II with a ‘white on black’ small cardboard box and a professional print out with key features outlined at the back. Inside you get quite a good array of accessories including a silicone case, leather case, coaxial adapter, USB cable, screen protectors and a manual. 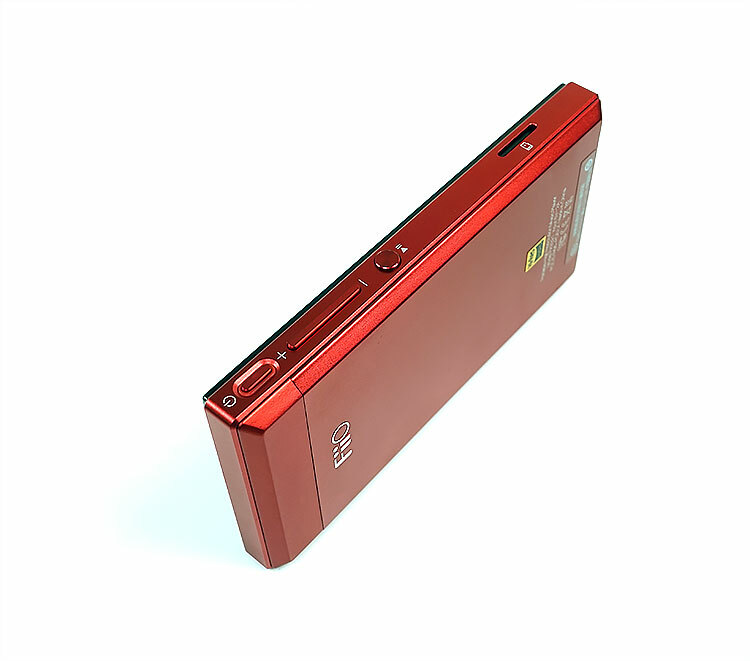 The case will either be red or black depending on the color scheme of your X3iii. In this sample, it is the red case. It is fairly similar in design to the X5iii and X7ii but the materials used are a little cheaper than either of those two DAPs cases. There are no gaps for the button arrays on the left but there are outlines of where they are and the material is soft enough to be able to easily use the controls. I can’t see the X3iii ever sliding out of this case despite the open bottom end. It seems rigid enough to hold everything in place. How is Xiii compared to Hidizs AP 80 in terms of sound quality (e.g. using a Beyerdynamic T5p) ? Difficult because of MSEB on the AP80 can change the tone of the AP80 a lot. I think the AP80 will be a bit cooler with the stock signature though and the OS is miles ahead in fluidity and speed. I think the Xiii has a bit more power and also balanced/LO. Not T5p here but its a fairly treble happy headphone at times and doesn’t need huge power to drive well. Depends on your personal preferences but maybe for me, the Xiii’s warmer tone might be a better fit. How would this work with the Pinnacle P1 (50 ohms)? I’m looking for my best bet in the sub $200 range and am currently looking at this and the N3. Other DAPs I should consider instead? Both should be fine though the N3 gets my vote. Other options include the Sony A35 with its digital amp, very quiet and touchscreen. Thanks, Marcus. I’m concerned about the lower power output on the Sony units, which is a shame because I love the look and UI. The P1s can be a bit tricky to drive, though. Oh right then, pity it is a little beauty but as you say it is not the most powerful. I have an Opticon Streamer v3 which I can connect my iPhone for Bluetooth calls and to my hearing aids. Will the X3(iii) pair with the streamers too so I can dispense with outputting via a cable? Sorry never used that before but if it uses Bluetooth to stream then it should. How is X3 Mark III compare to Sony NW-A45? Which is better? Depends on what criteria are important to you. Low noise/long battery life/touchscreen for Sony. Tonally the FiiO is a bit warmer and fuller sounding, Sony a little more neutral. How is X3iii compared to Cayin N3 in terms of sound quality? The N3 has a lower noise floor and a more aggressive low-end. The X3iii is a bit warmer sounding for me. You mean fiio X3iii has more bass than N3? Please elaborate a little bit.